I wrote a post quite some time ago entitled “Do You Have a Mental ‘Safety Net’ When It Comes to Your Acne?“. 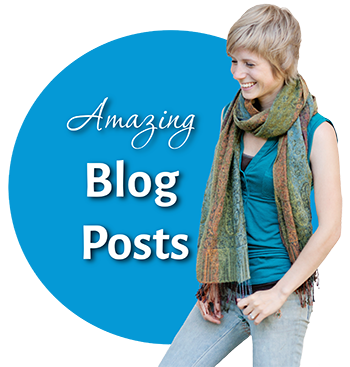 In this article, I was talking about how many of us have certain things or routines that we get really emotionally attached to, because we imagine that these things keep us safe from the evil acne monster. For me, it used to be my face wash and benzoyl peroxide. Then it became my diet. Now, I have to admit, I’m pretty attached to my handy dandy ‘Estroblock‘ supplement. We get so attached to these things because we put all of our feelings of “okay-ness” onto them. Without them, we imagine horrible things will happen which will make us feel really really bad (aka. acne). So we desperately cling to them. That’s all fine and good while you have your safety net, but what happens if it is taken away? What if you have to skip washing your face with your special face wash tonight? What if you ate something that wasn’t on your list of “good” foods? What if you run out of your supplement and your new shipment is backordered? Well, the answer is of course a lot of stress and anxiety, which may lead to a breakout, which leads to a self fulfilling prophecy, which then deepens your dependence! The thing is that the majority of the attachment to the safety net is a mental one. Maybe that thing really does help your skin, but it is us who give it this huge meaning – this epic responsibility. This immense pressure to save us from our despair. Anyway, in my article, I was condoning the safety net, saying that a safety net can be a good thing as long as it’s a very simple one that is unlikely to be broken. It’s when you start getting into these elaborate routines full of mountains of products, superfoods, supplements, procedures, etc, that things start to get complicated. I also mentioned that I wanted to work on making happiness my safety net, so that I would know that as long as I am happy and relaxed in the face of adversity, then I will feel secure that acne will not hurt me. Anyway, a lovely Love Vitamin reader named Ana recently commented on the article and brought a new perspective that I am totally on board with. She said that the point is not to have a safety net. It’s to grow to the point where YOU are your own safety net. By you, I mean your inner strength to know that you can overcome anything bad that happens to you. Your strength to know that you don’t need any “thing” to save you, all you need is yourself. Regarding the safety net – what my life and experiences have to say about it: the point is not to have any. Having a safety net is remotely similar to a very mild OCD (to ease your anxiety you need some kind of artificial “affirmation” that what you are anxious about is not going to happen). So the goal should be to get you into the state when you feel/believe that if anything happens, you can handle it. That you have enough resources to be OK, to survive, to find a way out, to accept it, or to change it. You cannot really anticipate what life will bring your way, so you cannot prepare specifically in advance. But WHATEVER it is going to be, you yourself is arsenal strong enough to deal with it (your mind with ideas, your intuition, experiences, courage and all your strengths ) = basically, it grows directly out of your self-esteem/confidence/awareness. When I was a kid, I was pretty insecure – not about my flaws, but I figured out that if I needed help, my parents would not have been there for me. I basically had to learn how to deal with stuff on my own. So I started wearing a special bracelet as a “shield”. I believed (not really, I just needed something to rely on and ease my anxieties) that as long as I had it, nothing bad was going to happen to me. That is my story and I realized that if you put a lot of baggage on anything (if you ascribe too much power or inappropriate powers to something) you make it rule your life and then, when you lose it or it breaks or it goes away for a while, you assume your life is gone as well. In my opinion, even happiness does not deserve to be dumped with such a load of duties. Sometimes you are not happy, maybe you are sad or depressed… but it is because of something, and it is good to find out the reason so you can see if there is something out of balance. To feel threatened that it is going to cause you another disaster is just more stress, lowering your courage and self-esteem to sort out what the problem is with ease and without panic. Be your own safety net! It will solve the control issues. As long as you rely on yourself and not outer world/conditions/things/people/circumstances, you do not need to control anything. And if you rely on yourself as a whole — not only on a part of your body, like with my hair, lol, or on just a particular behavior or something — you do not need to control yourself either! Like you say, we should not be caught in our past… well, we can use our past in a much better way – we can lean on it and build our self-confidence with it (and learn from it, of course). That is how really true self-esteem is built. You know what you are good at, what you are capable of, what you have to work on, what you like and what you do not, what you accept and what is intolerable and why. Repeat for some time and you will start to notice that you do not care much about your skin anymore. And when it needs some cure (I actually do not suffer from acne but psoriasis), you do it without that emotional load – just like you do when you cut your nails and when you, for example, do not have time to do a procedure, you just skip it without even paying attention to it. Keep up the good job, Tracy. Good luck! 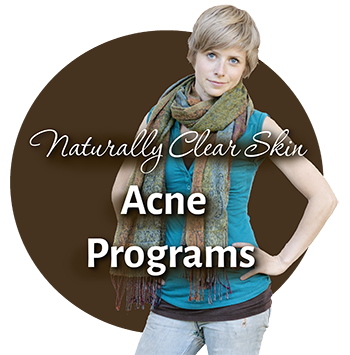 Do you have an acne safety net that you rely on? Do you think you could ever get to the point where you are your own safety net? 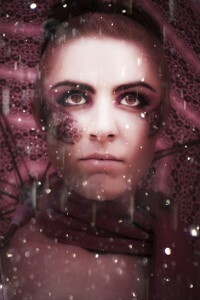 Do You Have a Mental “Safety Net” When It Comes to Your Acne? In other words, do you have a certain thing that you do because you are mentally attached to the idea that it keeps your acne at bay? Something that makes you feel “safe” from acne, as long as you are doing this thing consistently? For example, this could be: using a certain face wash or skin care product, avoiding a certain food, using a certain medication, eating a certain diet that you believe in (such as paleo, or vegetarian), meditating every day, taking a certain supplement, etc etc. Anything, really. It could be a combination of things as well. I’d like to make it clear that our beliefs are often not the truth. They are just that – beliefs. You may have a lot of personal evidence that a certain thing really does help your acne significantly, but we can often be tricked and fooled. There are a lot of unknowns and we can easily miss the big picture, because we are always seeing the world through the filter of our belief system. Often we have no idea to what exact degree something can be attributed as our “acne saviour”, but we get attached to certain ideas anyway because they resonate with us for one reason or another. Is Having An Acne Safety Net a Good Thing? I think it can be a good thing and a bad thing. As we know, stress can be a major acne trigger for many people. So if you have a certain thing that you do that makes you feel nice and secure, then that serves to really lower acne related stress and makes it more likely that you really won’t break out. Like a self fulfilling prophecy. The problem comes if you are forced to deviate from your routines and you, for some reason, can’t do your “safety dance”. Then stress usually goes through the roof. Then you may break out due to the stress, and that confirms your belief that your safety thing is truth. As a result, you may feel very trapped. Obviously some safety nets are more complicated than others and certainly more prone to security breaches. It’s for this reason that if you’re going to have a safety net, it’s best if it’s something simple. If you truly believe that tapping your ankle in a clockwise motion once a day keeps your acne at bay… then great. Not too complicated to perform, really, and can be done anywhere at any time. If you have a repertoire of 30 things you do per day and a general, vague description of what is keeping your acne away, then it’s likely to cause more stress than not, since there will be many times when your rituals are difficult to adhere to! What Is My Proverbial Safety Net? Well, before my severe acne and all my ventures into holistic healing, my safety net was washing my face and applying benzoyl peroxide faithfully every morning and night. That’s it. I didn’t have any other acne routines. This never worked a treat – I always still had acne. But I depended on it: I always assumed that it would be much worse without it, even if I only skipped one day. And most of the time, that was fine because it was relatively simple and very defined. I was able to do this routine day in and day out, no matter where I was in the world, and as long as I washed my face and used my benzoyl, I never feared that it was going to get worse. However, it did ruin a lot of camping trips for me. I loved camping, but I was always worrying about how I was going to wash my face and apply my benzoyl if I was out in the bush with my friends, and the resultant pimples that would occur if I didn’t do it (and then how would I be able to sneak away and apply makeup over them so my friends couldn’t see them!??). It felt like a ball and chain. Of course, the ironic thing about all this is that I’ve now discovered that for me, not washing my face at all is the best skin care routine I’ve tried yet! So it really was just a complete matter of perception. What is My Current Safety Net? I think that many things contribute to healthy skin – sound emotional health, getting enough exercise, eating properly, not irritating your skin, etc – and I try to keep all of these things up to some degree. However, I can tell that my true safety net – the one thing that I am deep down attached to – is the belief that eating a “generally healthy diet” (according what I think is healthy at that time) is what keeps my acne at bay. Again, just to point this out – this is a HUGE matter of perception. “Generally healthy” means so many different things to so many different people – it’s all in what you believe is healthy. 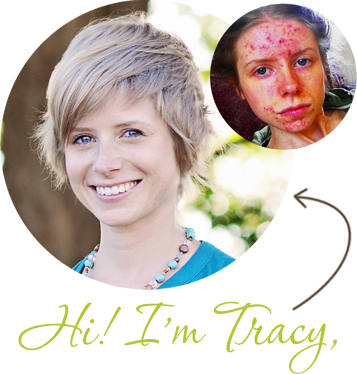 When I first started trying to clear my acne, I believed a vegan diet was the healthiest, so that was my safety net. Now I believe that a more well rounded whole foods diet is the healthiest, so now that’s my safety net. Joe may believe that paleo is the healthiest, so eating paleo is his acne safety net. Julia might believe that the raw food diet is the healthiest, so eating that way is her safety net. James, on the other hand, might be attached to macrobiotics as the ultimate in health and clear skin. This is kind of contradictory, don’t you think? There really is no truth here, just beliefs. Anyway – eating “generally healthy” is pretty vague, yet still has a certain strictness about it. So as I said, there’s lots of opportunities for problems to arise, especially if you’re far from home. I can eat junk sometimes without it bothering me, but if I eat too much “junk” (again, a complete matter of standards and perception) for too long, I just start to feel like I’m slipping through the net and I begin pressing the panic button. This is why I have no problem maintaining this safety net when I’m at home and “in charge”, but I stress about not having any sort of soft pillowy cushion to break the fall if I choose to again partake in long term overseas travel (which I would definitely like to at some point! ), or ever find myself at the mercy of someone’s else’s food for a while. You see, it just really isn’t as simple and concrete as something like washing your face, which makes it a pretty stressful net to have. Personally, I’d like to move away from having safety nets with any significant downside, which is probably most of them. I do not want to have a long term travels ruined by my fears over food. But I also don’t want anymore camping trips ruined by fears over not being able to wash my face, despite that being a simpler net. I don’t want anything that traps me in any way. As it turns out, I think that the best, most constructive, and ultimately HEALTHY safety net is the belief that happiness is the key to keeping acne away. Definitely sounds like the most freeing. If you can pull that off, I really don’t think there’s much of a downside to that. I believe that this is what I desire to do, which I hadn’t really realized until I wrote this post. I deeply desire to switch my safety net from food to happiness. I want to believe deep down inside that if I choose to be happy (and therefore keep stress levels at an all time low), then acne can’t hurt me. And it can’t! Because even if I still got it, it wouldn’t matter – I’d still be happy. I hadn’t realized that that is what I’ve been doing when I challenge myself by eating unhealthy when it’s not convenient (as described in my last two posts here and here). I was subconsciously seeing if I can switch my safety nets. But the reason it doesn’t work is because I don’t truly believe it yet that being happy will keep acne away, and me safe. I just don’t fully trust it, even though I want to. For example, tapping your ankle in a clockwise motion every morning sounds like an oh-so-simple safety net, but who actually believes that keeps their acne away? Probably nobody. That’s the kicker – you have to really, truly believe in your safety net. If you don’t, it’s not going to work, which is why after I challenge myself with the unhealthy food, I inevitably break out and it makes me cry. I’m still fully identifying with food as my saviour rather than happiness. Interesting stuff – it feels really good to realize and verbalize this “safety net” thing in concrete ideas, so now I can move forward knowing my goal for my personal growth: switch my net from food to happiness. What is your acne safety net?